One woman is dead and seven wounded after a masked gunman opened fire on worshippers at a Tennessee church. The attacker walked silently down the aisle yesterday as he shot unsuspecting congregants with two handguns before a heroic usher confronted the shooter, police said. The female victim was gunned down in the church's car park while the church's pastor was shot in the chest, local TV station WKRN reported. 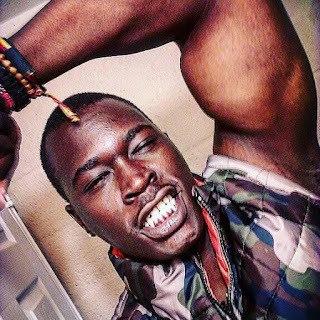 The alleged gunman has now been named as 25-year-old Emanuel Kidega Samson of Rutherford County. All but one of the victims were older than 60, local police said. 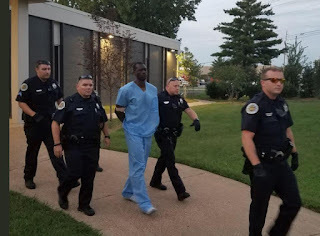 Samson strode into Nashville's Burnette Chapel Church of Christ wearing a ski mask and opened fire, spokesman Don Aaron of the Metropolitan Nashville Police told reporters. The woman was later identified as 39-year-old Melanie Smith, of Smyrna. 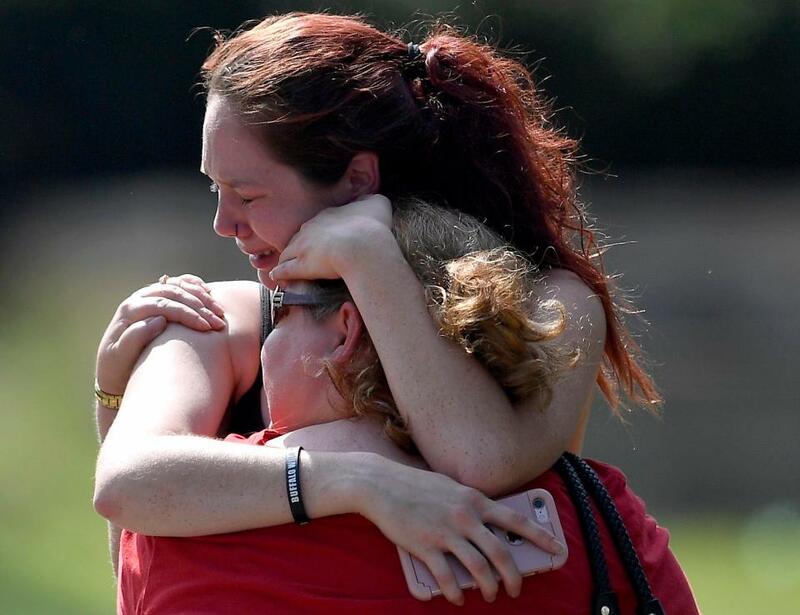 Robert Caleb Engle, a 22-year-old church usher, confronted the gunman but was quickly struck in the head with the gun. Although injured, Engle went to the parking lot, took a gun out of his vehicle and re-entered the sanctuary. The suspect then shot and wounded himself in a struggle with the usher, who guarded the attacker until police arrived. The gunman was discharged hours later from Vanderbilt University Hospital but remained in police custody. The Metropolitan Nashville police tweeted Sunday night that Samson will be charged with one count of murder and that multiple "additional charges will be placed later." He was ordered held without bail by a judicial commissioner. Witness Minerva Rosa said Engle was "a hero." "He's amazing," said Rosa, a member of the church for eight years. "Without him, I think it could be worse." "This is an exceptionally brave individual," Aaron said of the usher during a briefing outside the church in Antioch, about 10 miles southeast of downtown Nashville. 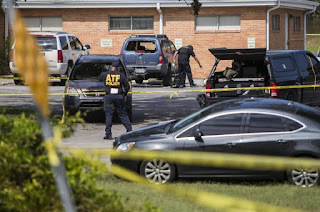 Police had not determined the motive behind the shooting, but the spokesman said certain items were found that might establish why the man opened fire. Nashville police did not immediately comment on several bizarre posts on the suspect's Facebook page in the hours before the shooting. Cops said they received reports of the shooting at the Burnette Chapel Church in Antioch around 5pm UK time. The Metro Nashville Police Department tweeted: "1 woman dead in parking lot...6 other innocents shot." Police said they later recovered another pistol and a rifle from the suspect's car. The condition of the wounded has not been revealed. A total of 42 people were at the church at the time of the shooting, and all victims were adults, Aaron said. A Twitter account for the nearby Cross Point Church wrote: "Please join us right now in praying for our brothers & sisters at Burnette Chapel Church of Christ."